Experience the natural wonders of the legendary wildebeest migration from the Serengeti to the Maasai Mara. Over a million wildebeest and thousands of zebras graze in large herds on the savannah. Here you will enjoy breath-taking views of countless animals, communicating with each other in front of the dramatic background of this unique landscape. 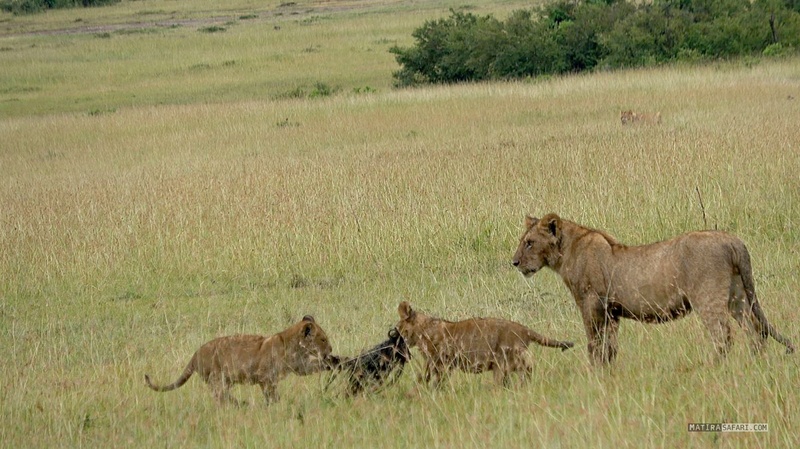 In addition, watch the lions, leopards, and cheetahs hunting as they treat the migration as a great feast. Another highlight often documented in nature films is the exciting crossing of the Mara River. 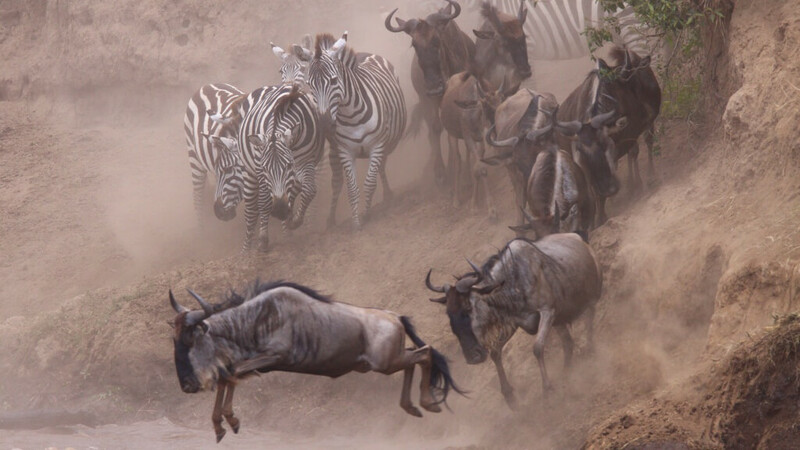 The wildebeest migration is also the time with the highest densitiy of animals in the Maasai Mara. Fly from Nairobi to the Maasai Mara. Our driver will be waiting for you and will take you to the Matira Bush Camp upon arrival. On the journey, you’ll get to experience your first wildlife in action. After lunch and the afternoon gamedrive, the first exciting day ends with dinner and overnight at the Matira Bush Camp. After an early morning gamedrive, we leave the wilderness and take the plane back to Nairobi. Upon arrival in Nairobi, you will be picked up and transferred to JKIA International Airport or your hotel.